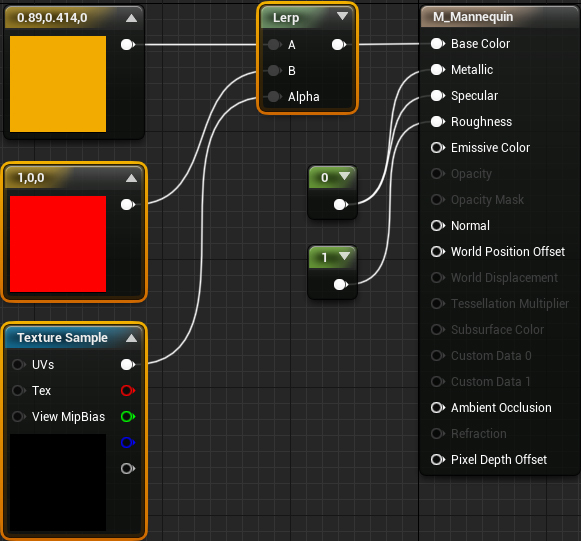 In this Unreal Engine 4 tutorial, you will learn how to paint colors onto any type of mesh. Mesh painting is the ability for players to paint on objects in-game. Examples of mesh painting are the goop in Super Mario Sunshine, the gels in Portal 2 and the ink in Splatoon. It can be used as a gameplay element or it can be purely for visuals. Either way, mesh painting opens up a lot of possibilities for gameplay designers and artists. Although the previous examples are all pretty much the same effect, you can use mesh painting for many other effects too. For example, you can use it to spray paint objects, render wounds on characters or even let players draw their own character’s face! Note that this is not a tutorial on vertex painting. 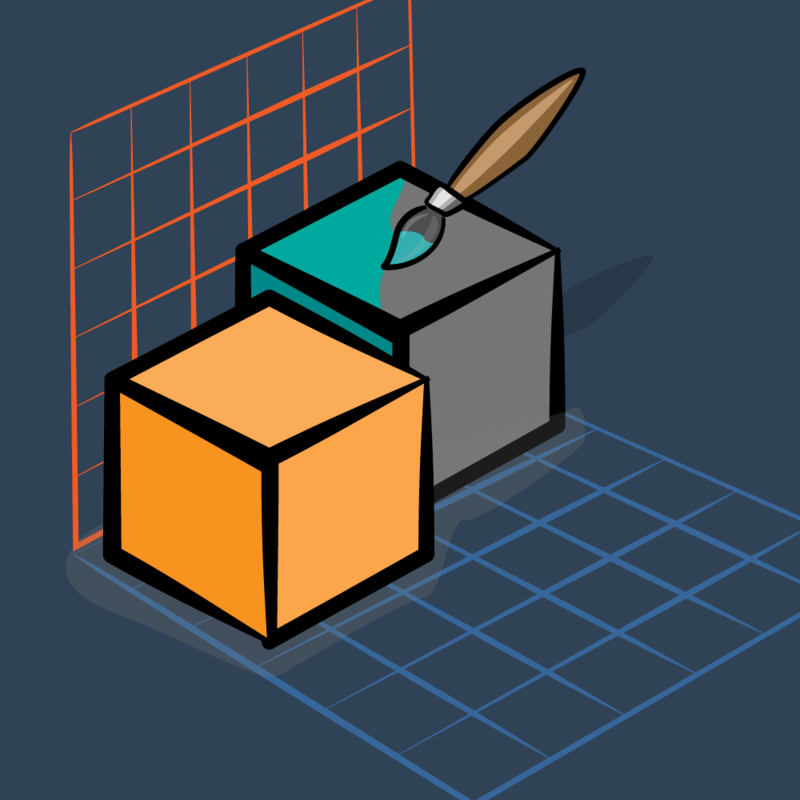 Vertex painting is dependent on mesh resolution and can not be changed in-game. On the other hand, the method in this tutorial works independently from mesh resolution and also works in-game. Start by downloading the materials for this tutorial (you can find a link at the top or bottom of this tutorial). Unzip it and navigate to MeshPainterStarter and open MeshPainter.uproject. If you press Play, you will see the character that you will be painting on. Just like the snow and grass trails tutorials, this method also requires a scene capture. To save time, I have already created a scene capture Blueprint for you. If you’d like to learn more about the capture settings, check out our tutorial on creating snow trails. First, let’s look at how you can paint on a mesh. In most cases, the mesh you’re working with is already UV mapped. So the obvious thing to do would be to create a mask using a render target and then apply it to the mesh. However, generating a mask directly on the render target (using Draw Material to Render Target) will usually result in discontinuities across UV shells. As you can see, a 2D sphere mask does not wrap around corners since it doesn’t take the geometry into account. To generate a correct mask, the sphere mask needs to sample the world positions of the mesh instead. But how do you access world positions when using the Draw Material to Render Target node? If you’ve been looking at methods on mesh painting, you may have come across Ryan Bruck’s video on character damage using render targets (the method in this tutorial is based on his method). In the video, he successfully generates 3D sphere masks and accumulates them into a render target. He is able to do this because he creates a render target to store the mesh’s world positions which he can then sample using a sphere mask. Let’s take a closer look. You can unwrap a mesh by applying some simple World Position Offset math (which you’ll see later on). Note: The render target changes color because the character is animated. This causes the world positions to constantly change. The third step is to create the sphere masks. Now that you can access the mesh’s world positions, you can sample them in a sphere mask. 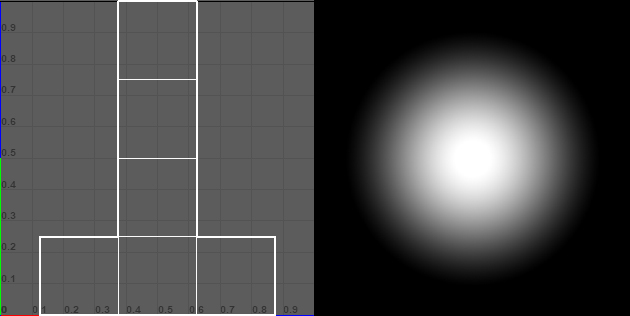 You can then draw the sphere mask directly to a second render target. Now, let’s look at the proposed method. Two render target draws. The first is capturing the unwrapped mesh. The second is accumulating the sphere masks. A render target to accumulate the sphere masks. You will need a separate render target for each actor you want to paint on. The method in this tutorial discards the second draw and world position render target. It does this by combining the unwrap and sphere masks into one material (the unwrap material). It then captures the unwrap using an additive composite mode to accumulate the sphere masks. One thing to note is that both methods work best when the mesh does not have overlapping UVs. Overlapping UVs will cause pixels sharing the same UV space to also share the same mask information. For example, you have both hands UV mapped to the same space. If one hand becomes masked, the other hand will become masked too. Now that you know the method, let’s start with creating the unwrap material. 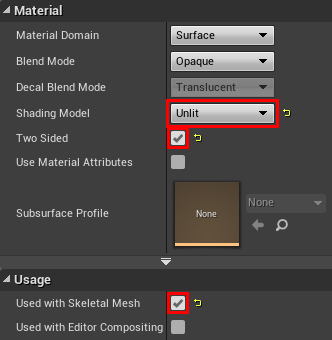 Navigate to the Materials folder and create a new material. Name it M_Unwrap and then open it. Shading Model: Unlit. This is to make sure the scene capture doesn’t capture any lighting information. Two Sided: Enabled. Sometimes unwrapped faces can be facing the other way depending on how the mesh is UV mapped. Two Sided will make sure you can still see any flipped faces. Usage\Used with Skeletal Mesh: Enabled. 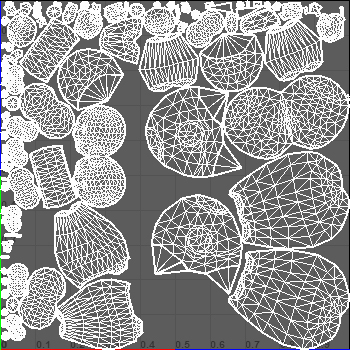 This will compile the shaders necessary for the material to work on skeletal meshes. Up next is to unwrap the mesh. To do this, create the setup below. Note that I have already created the CaptureSize and UnwrapLocation parameters within the MPC_Global asset. This will UV unwrap the mesh to the specified location at the specified size. Note that if your mesh’s unique UV map is on a separate channel, you will need to change the Coordinate Index of the TextureCoordinate node. For example, if the unique UVs is on channel 1, you would set Coordinate Index to 1. This will return white for pixels within the sphere mask and black for pixels outside. Don’t worry about setting a value for the parameters since you will do that later in Blueprints. 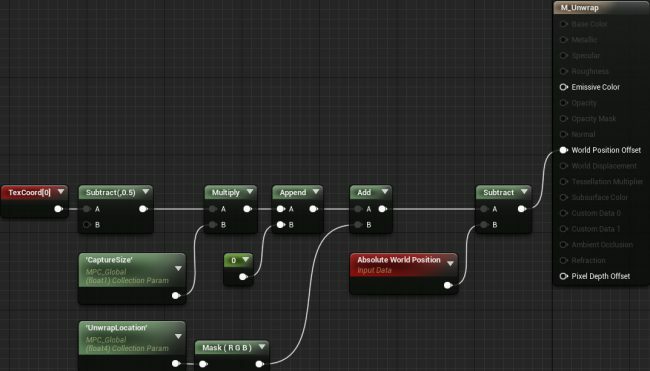 It is important that you set the Absolute World Position node to Absolute World Position (Excluding Material Shader Offsets). 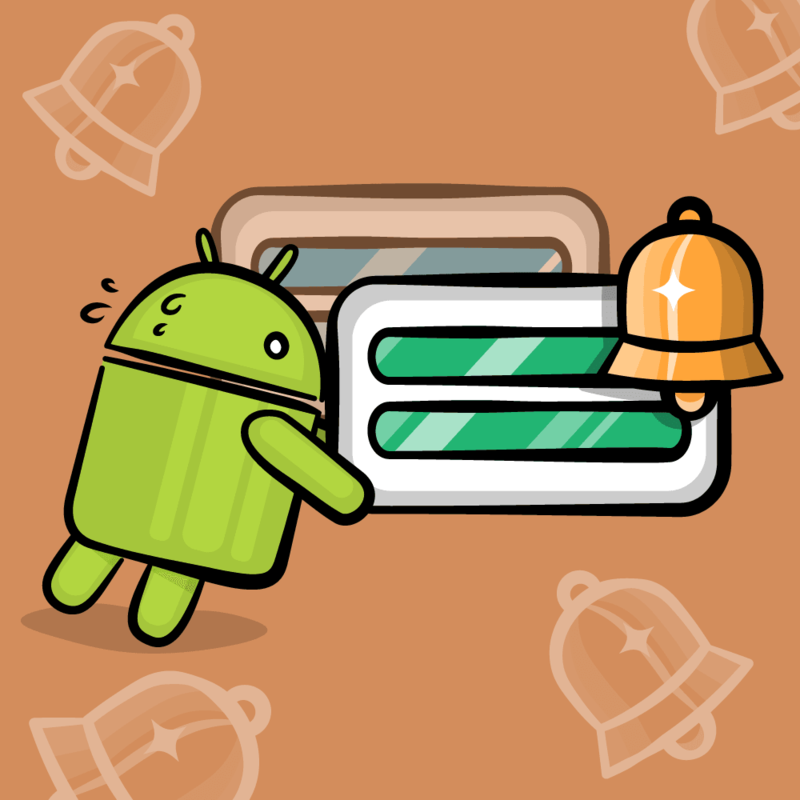 This is because the pixel’s world position will change due to the unwrapping. Excluding material shader offsets will give you the original world position before unwrapping. That’s all you need for the unwrap material. Click Apply and then close the material. Up next is to apply the material to the character to unwrap it. For this tutorial, the capture Blueprint will handle the unwrapping and capturing. 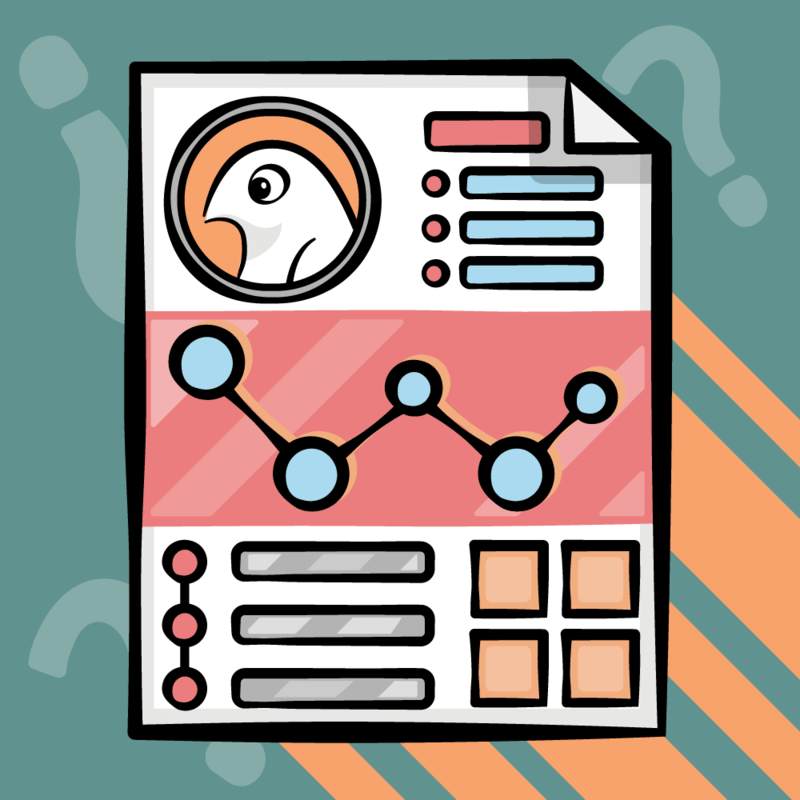 First, you will need a dynamic instance of the unwrap material. Navigate to the Blueprints folder and open BP_Capture. Afterwards, add the highlighted nodes to Event BeginPlay. Make sure you set Parent to M_Unwrap. ActorToPaint: Type is Actor. The actor to unwrap and capture. HitLocation: Type is Vector. This will be the center point of the sphere mask. BrushRadius: Type is Float. The radius of the sphere mask in world units. First, this will save the mesh’s original material so you can reapply it later. Afterwards, it will apply the unwrap material. Before you can test the unwrapping out, you will need to do a line trace from the player to get a hit location. Click Compile and then go back to the main editor. Afterwards, open BP_Player. Open the Shoot function and add the highlighted nodes. For this tutorial, set Brush Radius to 10. Click Compile and then close BP_Player. Press Play and then left-click on the character to do an unwrap and sphere mask. If you’re wondering why the mask keeps moving, it is because parts are moving in and out of the sphere mask. This is not a problem though because you will only capture the unwrap at the time of the hit. Now that you have unwrapped the mesh, you need to capture it. First, it’s a good idea to add an unlit black plane behind the unwrapped mesh. This will help prevent seams at the edge of UV shells. 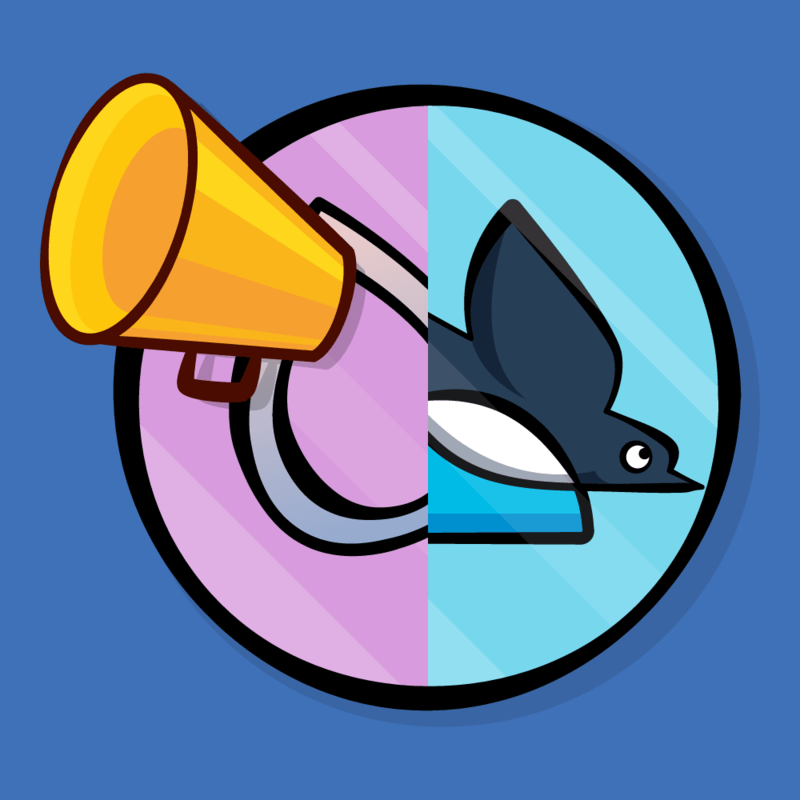 Open BP_Capture and then add a Plane component named BackgroundPlane. To save time, I have already created the black material for you. Set the material to M_Background. For this tutorial, the unwrap and capture size are 500×500 units so the background plane will need to be at least that large. Set the Scale to (5.0, 5.0, 1.0). Since the plane’s location and unwrap location are the same, it is also a good idea to offset the plane down to prevent any z-fighting. To do this, set Location to (0.0, 0.0, -1.0). This will capture the unwrapped mesh. Afterwards, it will reapply the mesh’s original material. Currently, the scene capture will overwrite the previous contents of the render target. To make sure the sphere masks accumulate, you need to make sure the scene capture adds to the previous contents instead. 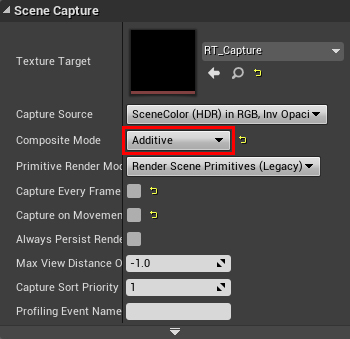 To do this, select the SceneCapture component and set Scene Capture\Composite Mode to Additive. Click Compile and then close the Blueprint. Next, you need to use the render target in the character’s material. Navigate to Characters\Mannequin\Materials and open M_Mannequin. Afterwards, add the highlighted nodes. Make sure to set the Texture Sample to RT_Capture. This will display red wherever the mask is white and orange wherever the mask is black. If you wanted to though, you could blend between textures or material layers instead. Click Apply and then close the material. Press Play and left-click on the character to start painting. If you’d like to check out another method of mesh painting, check out Tom Looman’s Rendering Wounds on Characters. Instead of accumulating sphere masks, he sets a fixed number of sphere masks. The advantage of this method is that it’s cheap (depending on how many sphere masks you have) and it is relatively easy to animate the masks. The disadvantage is that there is a hard limit on how many sphere masks you can do.